Winter in southern Tasmania this year was a very mild affair (compared to 2015’s coldest winter in 50 years) and at the end of autumn I was given a present by a gardening friend. 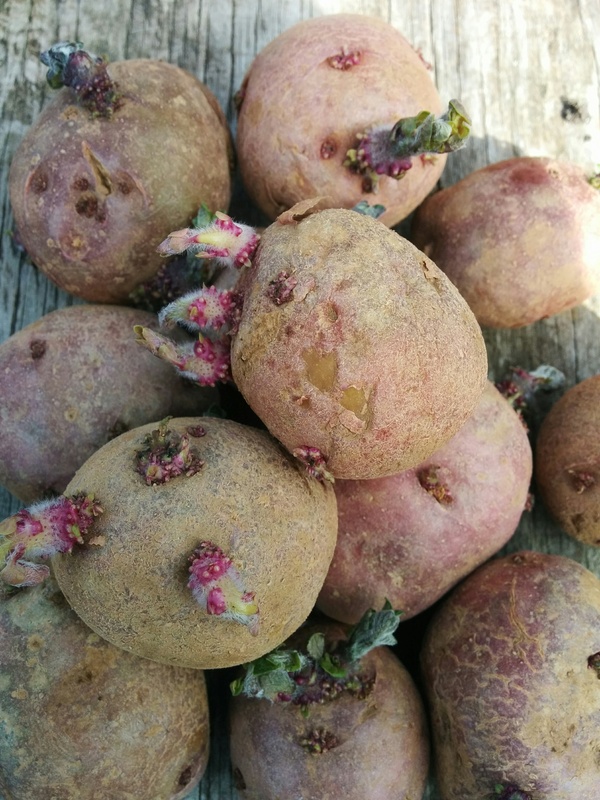 It was a Pink Fir Apple potato, considered by many to be the ultimate potato for salads. 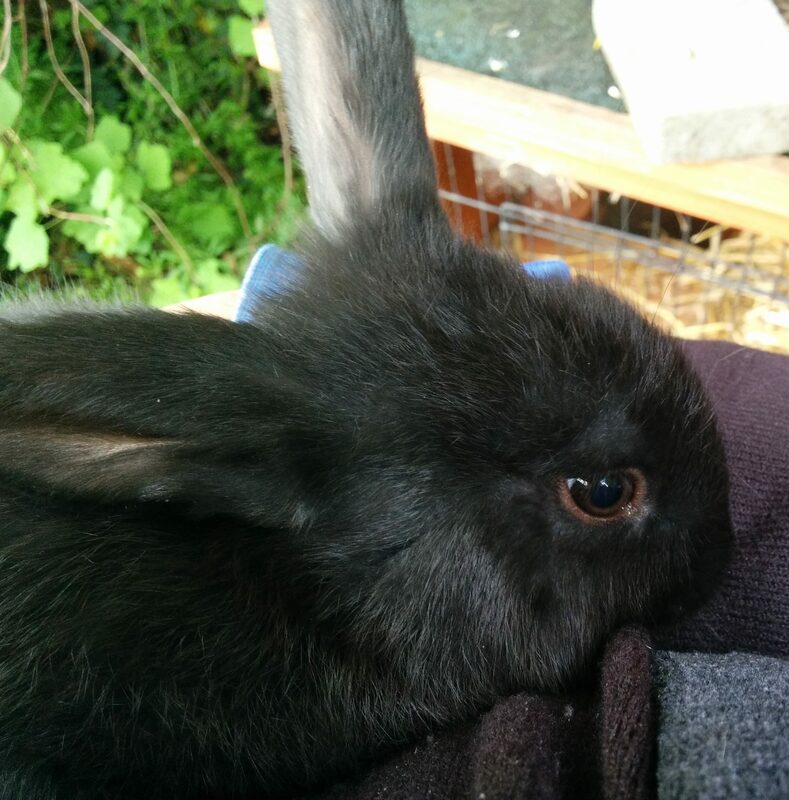 Regular readers of my blog might remember that once this precious little beastie had started to sprout, I cut it up and planted it in a tub in the greenhouse to see if I could grow potatoes over winter here. You can see the original post here, which includes a link to Dan, who was my inspiration for this whole experiment. Though Pink Fir Apples aren’t without their problems, being quite susceptible to many common diseases, I thought it was worth a try. Originally, my plan was to harvest them after roughly 100-120 days but I decided to let it go to about 140 days from planting. Space in the greenhouse is starting to tighten up and once I start potting up basil in the coming weeks, it will be at a premium so I decided today was the day! 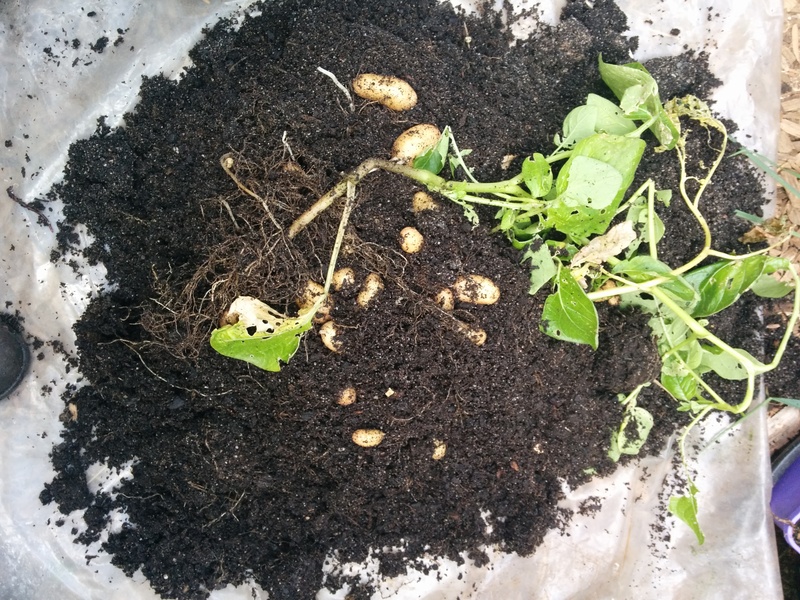 I also had a couple of Pink Eye seed potatoes that I planted at the same time. Pink Eye is a delicious, determinate early variety, beloved throughout Tasmania. 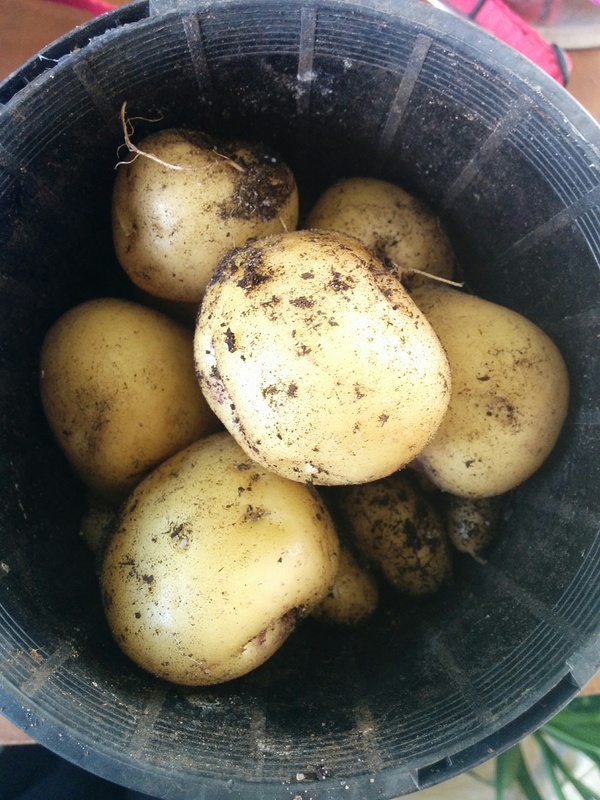 The pot wasn’t as big but it’s yielded a nice little feed of lovely, fresh spuds for tonight’s dinner. Now I’m feeling better a simple dinner of potatoes, salad (from the garden of course) and a little grilled meat sounds really delicious! My personal favourite is the Red Norland, a delicious potato with beautiful white flesh and gorgeous red skin. Lovely in salads, but equally good baked or boiled and they seem to keep quite well. They’re all in the ground now and most have sprouted through their blanket of mulch. As you can see from the Red Norlands above, I allowed them to sprout or “chit” (I love that word!) in a brown paper bag before planting out. I’m hoping for a decent crop from all and determine which are the best varieties for storing over winter. Like the garlic crop, I’m trying to grow enough to cover my household’s needs through winter. This is reasonably demanding considering the amount of ground a crop of potatoes will tie up and the number of roasts we have through the colder months.